Answer this question: is your sales team inside or outside? If you hesitate before mentally responding, you’re in good company. 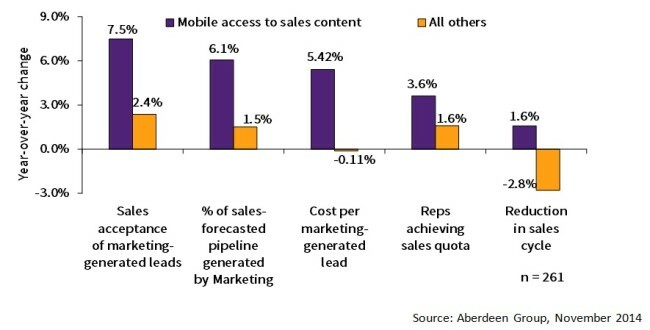 Over the years, my Sales Effectiveness research has seen a steady blurring of these traditional job roles, as work/life balance employment trends, ever-cooler handheld devices, and lightning-fast connectivity have dramatically changed the landscape of B2B selling. Traditionally, enterprises employed low-cost or entry-level staff to smile-and-dial their way toward qualifying leads for the field, and showered their high-flying outside reps with all the goodies that accrued to coffee-drinking closers. The line between the personas was clear, although proactive sales leaders were wise enough to build a dues-paying, promotional path between them for the strongest inside sellers to graduate to the field. Today, everything has changed. While there remain plenty of conventional inside sales and contact center environments in the B2B space – indeed, a number of the leading tech providers focused on phone-based selling have recently received significant private investments – the physical manner in which even purely internal reps conduct their business bears little resemblance to the sales floor of old. This is because they have a whole host of multi-screen, social, analytics, and sales enablement tools in hand, empowering them to act more like micro-marketers than dialing drones. Let’s also acknowledge that there are still plenty of outside sales reps who perform effectively in the field, because human contact remains a powerful part of the calculus of closing B2B sales. But these folks are now empowered with a new suite of sales mobility toys that would blow the mind of even the 2015 version of Marty McFly. What’s different today is that the concept of “anywhere, anytime, any device” has truly arrived for modern sales professionals. Inside reps should be able work from home, Starbucks, or the soccer game as seamlessly as in the office. Outside closers shouldn’t have to wait to enter CRM data until they settle into the hotel – and also shouldn’t consider it a chore, but that’s a story for another blog. Most importantly, all of them should be empowered with every conceivable corporate support system – marketing content, IT ease-of-use, HR-ish continuous improvement paths – regardless of when, where, or on which device they are doing their jobs. Now, add to this multi-channel selling world a few more twists: (a) company-provided and personally acquired computing devices come in more flavors, form factors, and operating systems than ever; (b) an increasing number of professional sellers are dealing with global audiences that introduce them to multiple time zones, languages, and currencies; and © the variety of file types, formats, and information sources continues to multiply annually. Where does this leave us? With the need for 21st century sales enablement: the tech platforms and best practices that my research directly associates with Best-in-Class sales performance results. Figure 1: What’s in YOUR Sales Enablement Wallet?